Made from grapes that grow in a hilly vineyard with southern exposure, about 150 metres above sea level, on volcanic soil. The system of cultivation is double pergola and varieties is Garganega. White wine method under controlled temperatures in steel containers. To the nose and palate, it transmits a fine sensation of freshness, revealing fruity and floral tones. Obtained from pure Garganega grapes from a vineyard located on a flood plain rich with clay. The system of cultivation is simple alternating pergola. White wine method under controlled temperature in steel containers. Notes of dried fruit, almonds and Golden Delicious apples emerge from this Soave, and its characteristics are enhanced by the use of the double ripening method. Obtained from late harvested grapes with a high sugar content. Fermented and refined in small oak barrels for 18 months, then refined another 24/30 months in bottles before being sold. The bouquet is of ripe fruit with sensations of bread crust and peanut butter. In the mouth, it is soft with a taste of dried fruit, acacia flowers and aromatic herbs. A sweet wine obtained from a selection of the best grapes, harvested with care from two plots on the estate: Albare and Ronchetto. 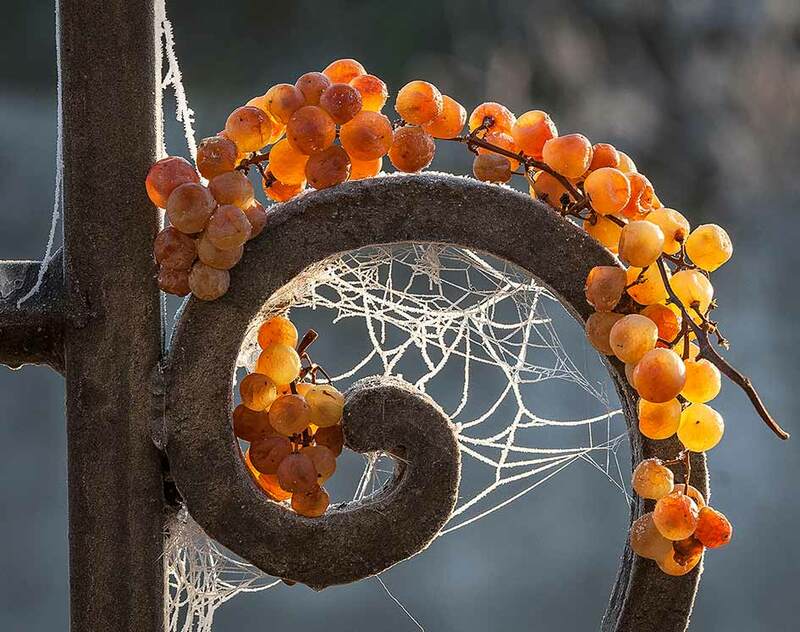 Allowed to shrivel in the fruit shed, they are pressed in early spring. The must obtained ferments and refines in barriques for 12/18 months. It then remains bottled for about 6/12 months before being sold. The golden-coloured wine obtained gives this wine its name, with its floral scent of apricots, apples, almonds and vanilla. It is round, and persistent in the mouth, with a balanced sweetness. It works well with dry sweets and aged or blue cheeses. Excellent wine for meditation. 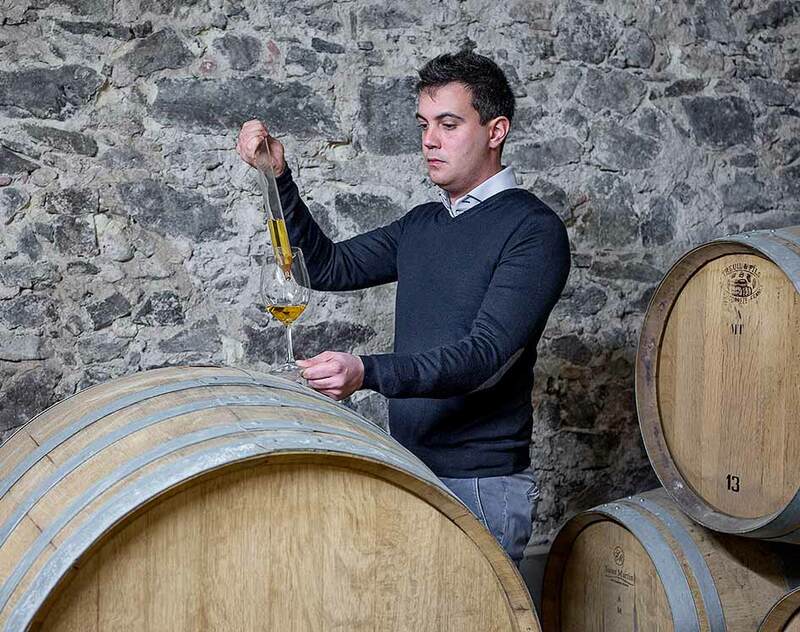 This wine was created in the attempt to reproduce the taste and bouquet of the recioto wines, called vinsanto at Brognoligo, which our forefathers made many years ago. 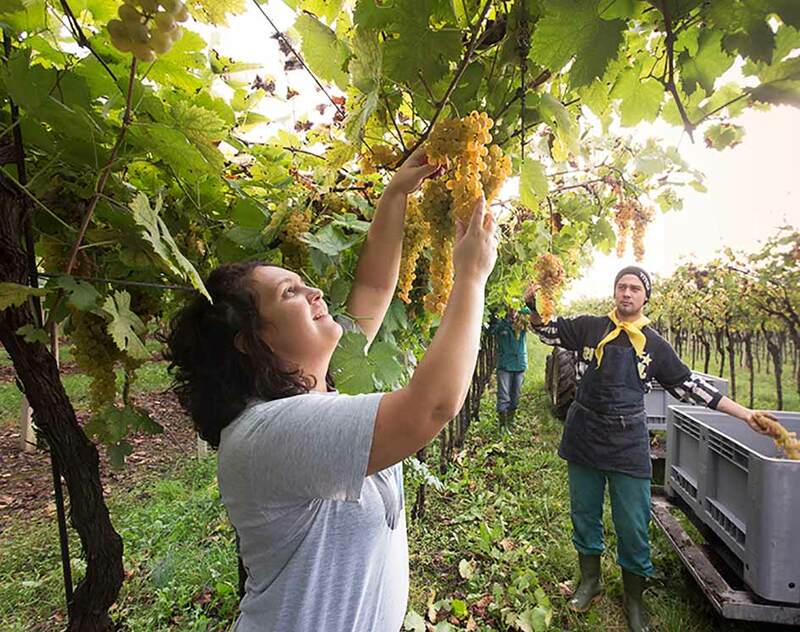 The grapes are picked in September, with careful selection of the best bunches: the grapes with the best colour and ripening, small and well spaced. They are set to dry in store with no dehumidification. Pressing takes place around Christmas-time. The must resulting is placed in an open vat to clear, with no addition of antioxidising substances. It is left to rest till the beginning of March. In this period a protective film, which in our area is called telarina, forms on the surface of the must. Before the must begins to ferment it is transferred into small wooden barrels which are corked and placed in the winery, where they are left to rest for a span of three to five years. 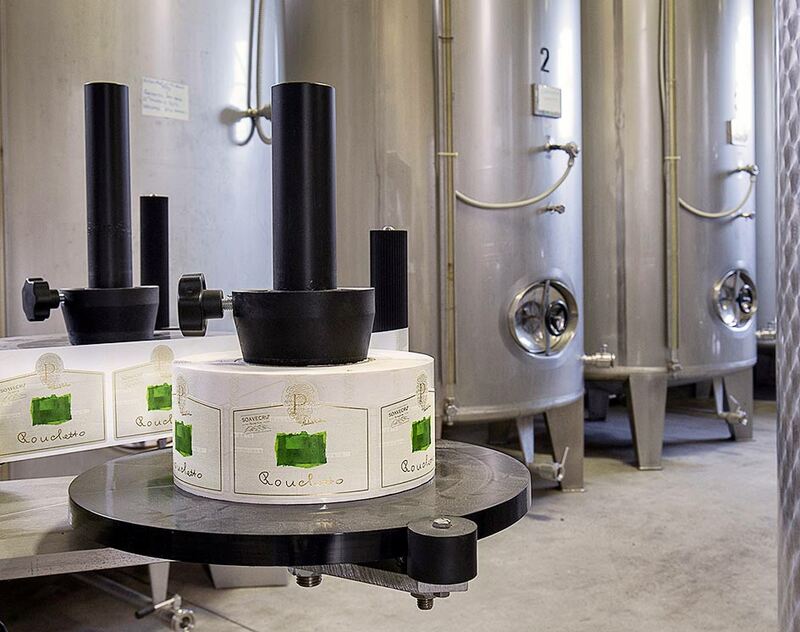 Throughout this phase in the barrel there is no need to top them up, or use antioxidising substances, a small quantity of which will be added only before bottling. This is a precious wine today as it was so many years ago, and it harks back to the simplicity and origins of our area. 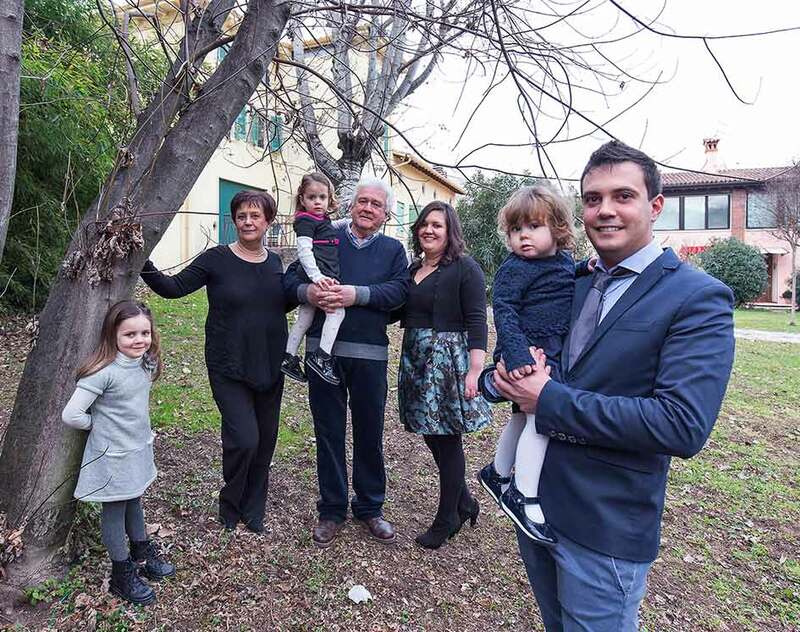 Maria and Emanuele have decided to dedicate it to their daughter Anna Giulia. This spumante is created with Chardonnay grapes cultivated in the Albare vineyard, whose soil is of alluvial origin and rich in clay. The harvest takes place in August when the physical and organoleptic parameters are harmoniously balanced. The grapes are White wine method under controlled temperature. The wine becomes sparkling in the stainless steel tanks using the long charmat method. This wine has a fragrant, delicate bouquet, lightly fruited with shades of breadcrust, and its body is elegant and balanced.